The Bleeding Heart vine is a twining vine that grows up to approx. 5 metres, producing evergreen leaves about 150mm long. The plant produces panicles composed of five to 20 bell-shaped red and white flowers. The vine flowers in late spring and to mid-summer and spot flowers at other times. 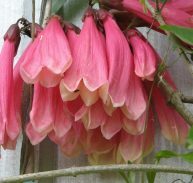 The Bleeding Heart vine is a native of tropical West Africa and it requires a warm environment with no frost. Morning sun through to early afternoon sun is preferable. The plant should be watered sparingly during the winter months. Plant in a well-draining soil and water regularly, enough to keep the soil moist to the touch but not wet or waterlogged. Fertilize during the growing season, withholding fertilizer completely in the winter. Prune the plant after flowering to promote new growth. Bleeding heart is tolerant of heavy pruning and performs best if old growth is removed. Bleeding heart is a versatile plant that can be used to fill a variety of roles in the garden. 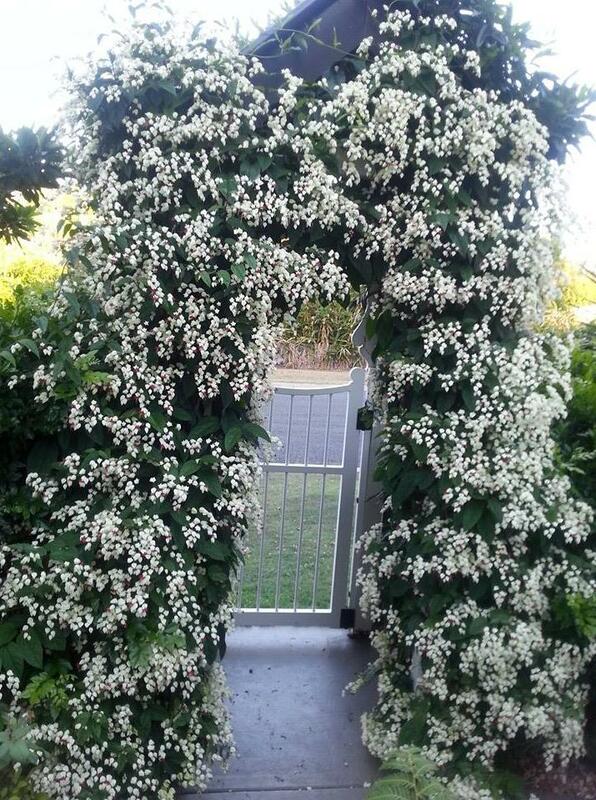 It works well on a container trellis or doorway arch as it does not grow large enough to cover a fence or arbor. The plant may be pinched back and grown in a container successfully.